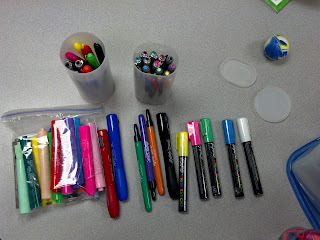 I am linking up with Elizabeth & Kristen for Optimum Organization ideas! I started a lot of different things this year to try to keep organized instead of waiting until spring to put everything away where it belongs! I recently received most of my new supplies in the mail, but haven't had the time to put things away. We are also moving out reading and science materials due to book adoptions for the fall, so things have been just a little CrAzY in my room! I purchased 5 different sets of markers or "fancy" pens. Everything is now stored in old Crystal Light containers and organized in my desk! When I need to take some home, the entire container goes into my bag so I don't lose several markers or pens. I have some sets of stamps and placed the sets with ink pads into a container with lid. 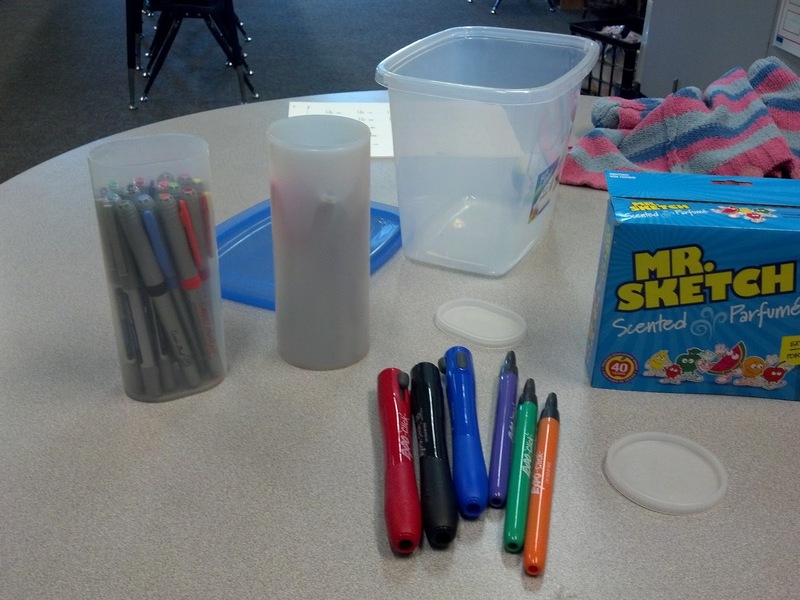 The entire container goes to the center or to a desk so pieces aren't lost. I started out the year with things shoved here and there for each month until I saw this on Pinterest and was thrilled that I already had 2 of the storage units! 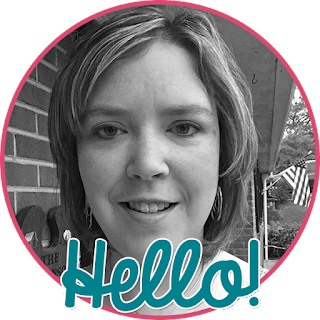 It's SO easy to grab (and put away) the specific activity designed around a holiday or season of the year! Another Pinterest idea ... 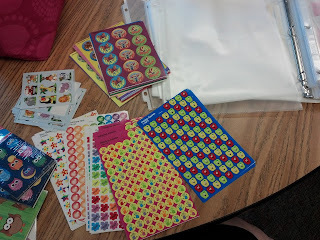 I have a lot of stickers - some for a specific holiday or season, but others are for sticker charts or for a project, etc. I was tired of digging through my basket of stickers to find the right one. 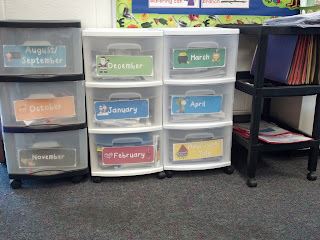 My last idea is how I house and store my units and plans for the year. 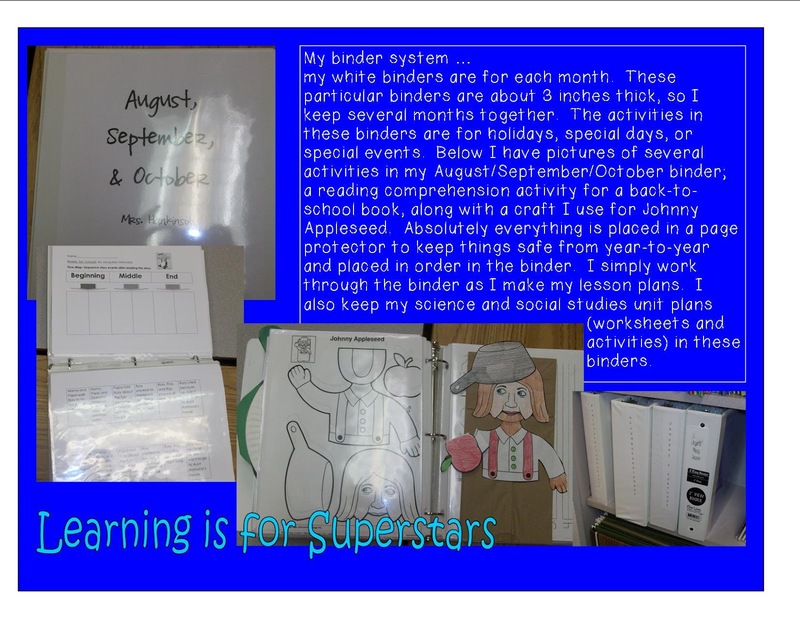 Everything is in a binder! 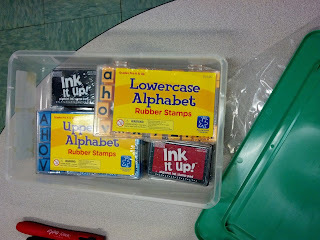 I do have a filing cabinet in my room, but it is still full of my fourth grade things! 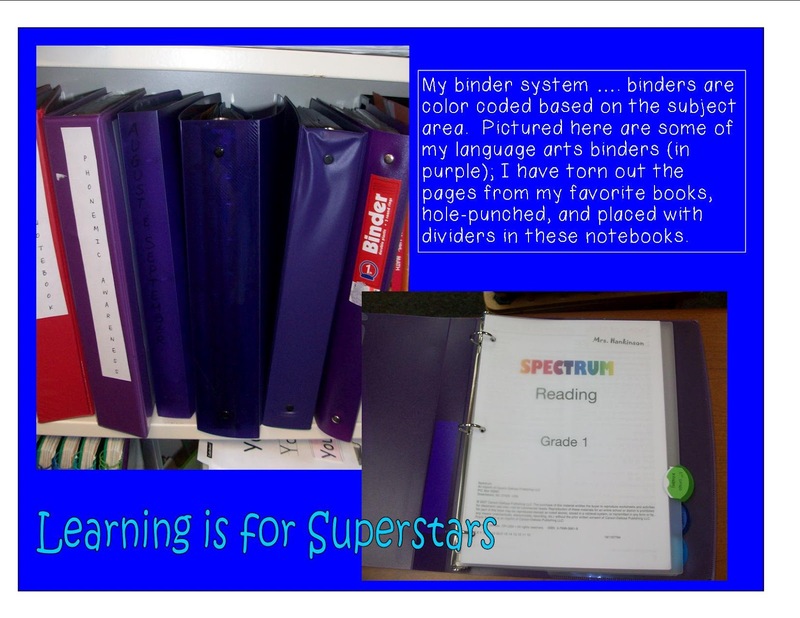 Binders are color coded based on the subject. It's easier to find what I'm looking for this way. 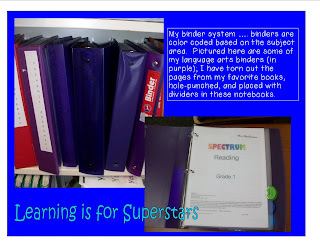 Here's a peek inside one of my binders. 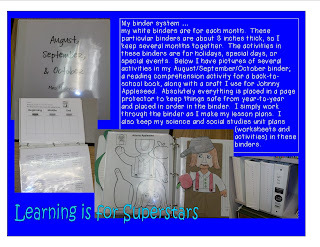 Each of my binders has things for that specific month ... holidays, science & social studies units, and seasonal activities and crafts. I would love to know what works for YOU! OH I LOVE binders but I never thought of putting ALL of my stickers in one. I now know what I'll be doing soon. Thanks for the great tip!! I think it's a sickness ... you should see my binders at home! 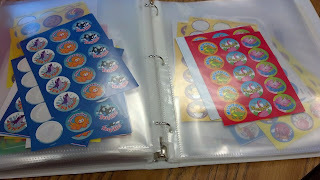 Love the stickers in binders! So smart. Better than my pile that I never use because I have to dig through it! I KNEW Crystal Light containers were worth saving, but I just didn't have the specific idea yet... thanks for sharing! :) You have some great organization ideas!